Instructions for making an external drive that you can use to install macOS Sierra. You can create a bootable USB flash drive with the macOS Sierra installer that’s now available. 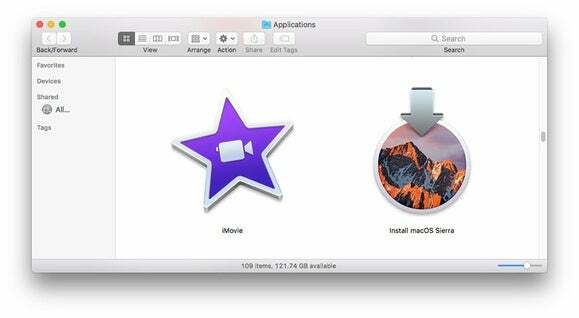 The installer software will take up nearly 5GB of storage space. Here’s how to create a bootable macOS Sierra installer drive. Launch the App Store app, then look for macOS Sierra in the store. (Here’s a link.) Click on the Download button, and your Mac will download the installer to your Applications folder. If it automatically launches after download, quit the installer. If you’ve already upgraded your Mac to Sierra, the installer is removed from the Applications folder. You can download it again if you go to Purchased in the App Store. Look for macOS Sierra in the list of apps that you’ve bought, and click on the Download button. If it automatically launches after download, quit the installer. You can use a USB flash drive or a hard drive with room for the installer software. I’ve used different drives with success, including a VisionTek 120GB USB 3.0 Pocket Solid State Drive ($83 on Amazon) and an old 8GB Iomega Micro Mini Hard Drive. The process detailed below involves the Terminal. If your really don’t want to use Terminal, there are a couple of free apps you can use. Install Disk Creator is a straightforward way to create a boot disk. I was able to make a macOS Sierra external USB boot disk in a few minutes, and the installation worked without a hitch. Also works with older versions of OS X.
Diskmaker X is a popular app. It also supports older versions of OS X. So you have your external drive, and the Sierra beta installer is in place. Now you’re going to use Terminal to create a boot drive. If you’ve never used Terminal before, don’t worry. This is pretty easy. Your Mac will display an OS X Utilites window. 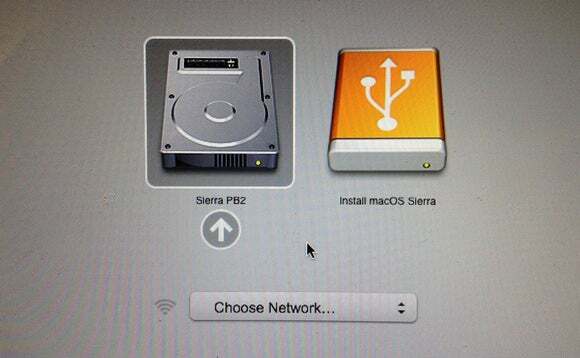 If you want to install Sierra and leave the data intact, select Install OS X. If you want to start over and wipe out the data, you need to go into Disk Utility to reformat the internal drive first, and then install macOS Sierra.